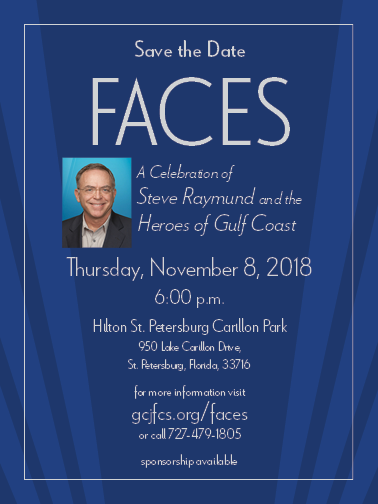 FACES Gala 2018 - the signature fundraising and award event for Gulf Coast JFCS will this year honor Steve Raymund. At the Faces Gala, we recognize beneficiaries who have overcome hardships through our programs and honor a volunteer who has made a passionate commitment to our organization. Click on link for additional information and registration.